You hear a lot about all the safety features new vehicles have to protect you in the event of an accident. These features can and do help save lives by reducing the number of injuries or the severity of them when accidents occur. However, there are other types of technology available for vehicles that make driving safer by helping to prevent accidents. Many of the new Toyotas are equipped with multimedia systems that offer voice recognition technology. These systems allow you to make and receive phone calls and access your vehicles navigational system simply by saying what you want to do. Some of them even allow you to choose the music you want to hear without having to fumble with the radio. Here’s how they work. We live in a world where everyone wants to stay connected with friends and family even when driving a vehicle. The problem is that talking on the phone or texting is distracting, which increases the risks of having an accident. For this reason, many states have already made it illegal to text while driving and it’s illegal to talk on the phone in some areas. When your vehicle is equipped with hands free calling, you can make and receive calls without ever taking your hands or eyes off the road. All you have to do is say the name of the person you want to call or their phone number and the system will connect your call by using your Smartphones Internet connection to send and receive the data. If you do not have a Smartphone, you can still take advantage of hands free technology. New vehicles like the Toyota Camry LE Sedan are equipped with Bluetooth that works with your phone, radio and navigational system. If you have an older vehicle, you can also purchase Bluetooth car kits that sync with your cell phone. Bluetooth enabled headsets are also available and you can use them anywhere. 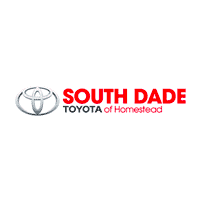 Search our inventory here at South Dade Toyota to see which vehicles offer the Bluetooth or the hands free technology that suits your needs the most. There are many situations where you need to find directions to your destination even when you’re traveling short distances. The hands free voice recognition navigational system makes it easy. All you have to do is say the address to the place you want to go and choose the route you want to use. These systems will normally give you three options to choose from. These systems also give you the option of typing in your destination using the touch screen before you begin driving if you prefer. They will automatically save the routes you put into the system for you and you can have it search for points of interest associated with the routes you take. Hands free technology allows you to use your phone, find your destinations and pick the music you want to hear while driving without having to take your hands or eyes off the road to make driving safer.